Starlight Keyblade in Kingdom Hearts 3 is a weapon you can unlock. 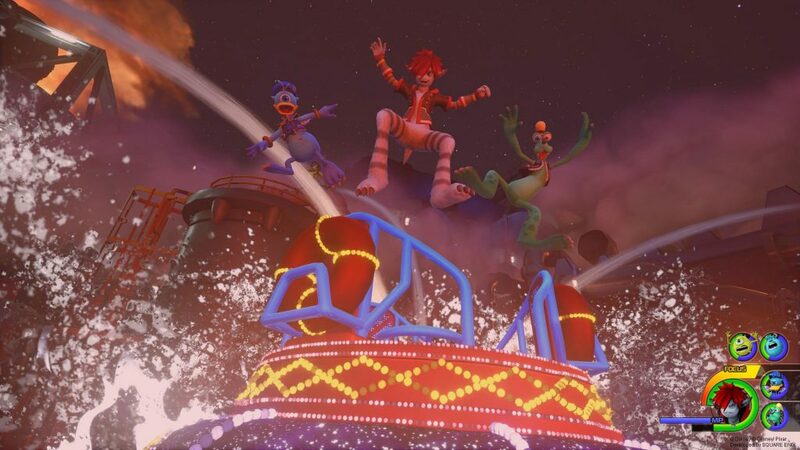 However, to get the KH3 Starlight Keyblade, there’s a bunch of hoops to jump through. For example, you’ll have to download and play the Kingdom Hearts mobile game, Union Cross. All in all, unlocking the Starlight Keyblade in KH3 is a lot of work, but it is perfectly feasible. Our guide on how to get Starlight Keyblade in Kingdom Hearts 3 will show you how to obtain the Starlight Keyblade code in Union Cross, how to redeem it, and so on. How to Get Starlight Keyblade in KH3? To get the Starlight Keyblade in Kingdom Hearts 3, you first have to Kingdom Hearts Union Cross on your phone. You can get this mobile game either on iOS and Android, so you should be good to go. After downloading and starting the game, you’ll play through the tutorial. That shouldn’t be much trouble; just do whatever the game tells you to. However, don’t do it on autopilot; you’ll need to know what you’re doing later on. Make sure to download the full game. Any resolution you pick will work, so don’t worry about that too much. Next up, enter the menu by tapping in the top right corner of your screen. Scroll all the way down, and tap Other. Then, tap x3 [ex tres] in the bottom left and, finally, pick Classic Kingdom. That finally was a lie. There are several mini-games that you’ll have to get a certain high score in. Tap the Limited-Time Challenge tab to see how high a score you need to get to unlock the Starlight Keyblade in Kingdom Hearts 3. Once you’ve beaten all the scores you need to beat, go back into the Limited-Time Challenge tab and, this time, tap on Issue Product Code. Be very, very careful and make sure to select the correct region and platform, and double-check all the info you give; you really don’t want to screw up now that you’ve come this far. When the game gives you the code, make sure to screencap it or something so as not to lose it, and to have some evidence if you encounter any trouble later. Lastly, redeem the code in your online store once Kingdom Hearts 3 comes out, and you’ll get the Starlight Keyblade in KH3. NEXT POSTKingdom Hearts 3 Worlds – How Many Are There?